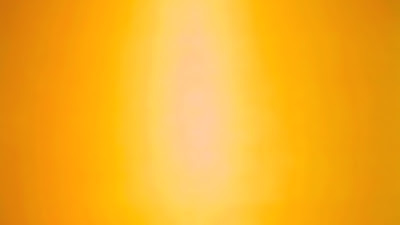 - The sun, I presume you will say, not only furnishes to visibles the power of visibility but it also provides for their generation and growth and nurture though it is not itself generation. - The origin of something is the source of it’s essence. The question concerning the origin of the work of art asks about it’s essential source. 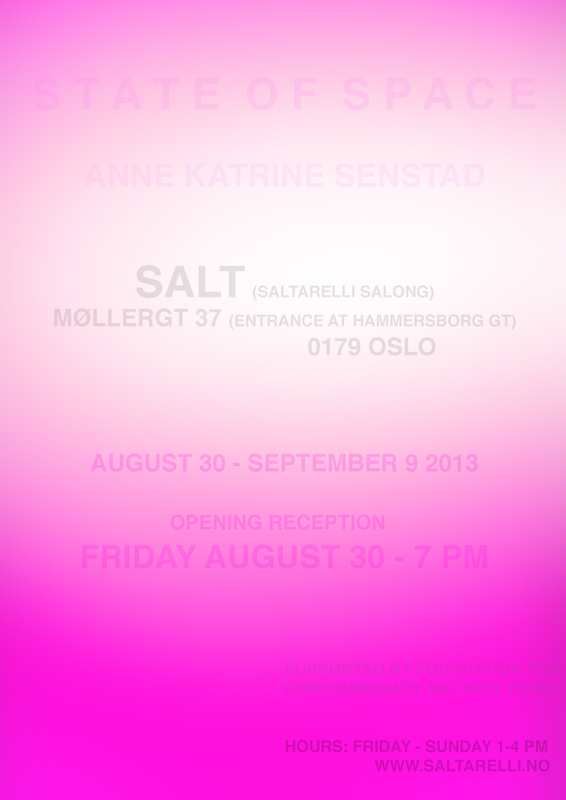 Anne Katrine Senstad is a multidisciplinary Norwegian artist based in New York. 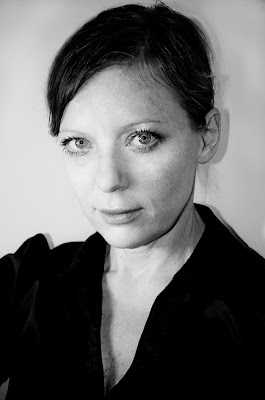 She works in the intersection of installation art, photography, video, site and time specific work, and land art. She was educated at Parsons School of Design and The New School for Social Research in New York. Her work is currently on view at the 55th Venice Bienniale, Officina delle Zattere, where she is exhibiting video, sculpture and photography as part of the exhibition Metamorphoses of the Virtual. In 2011 she completed a major public art commission in collaboration with the internationally renowned architecture firm Snøhetta,. 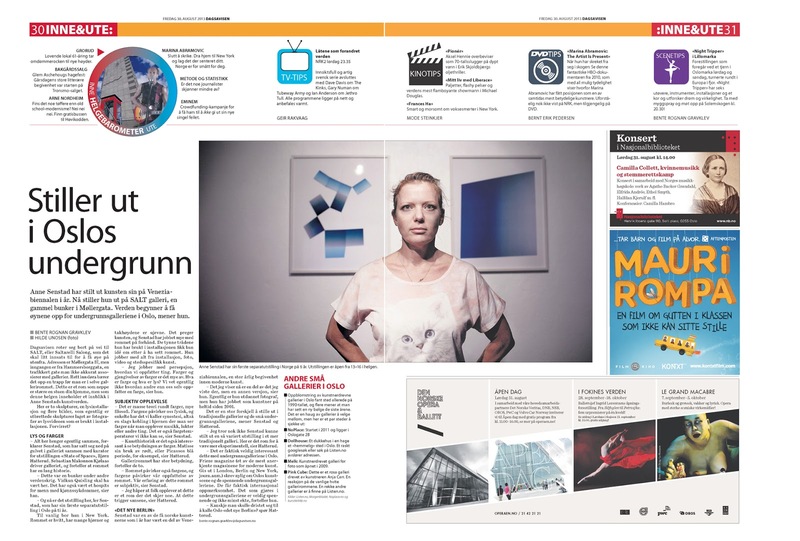 She has exhibited widely internationally at Zendai Moma in Shanghai, ThisIsNotAGallery in Buenos Aires, Utsikten Kunstsenter and Stiftelsen 3,14 in Norway, Björn Ressle Gallery, Gary Snyder Gallery, Gallery Nine5 and Elga Wimmer Gallery in New York, Pink Gallery in Seuol, Korea and KK Projects in New Orleans amongst others. Her video work has been shown with Rencontres Internationales Paris/Berlin/Madrid that took place at Centre Pompidou, Haus Der Kultur Der Welt, Berlin, and Beirut Art Center in Lebanon in 2011-12., as well as The Canadian Museum of Nature, Museum of Modern Art Ukraine in Kiev, Video Arte Internacional Festival and Eva Peron Museum, Buenos Aires and various galleries and institutions as part of her exhibitions and multi projection installations. Her work is represented in Gallery, Institutions, corporate and private collections. 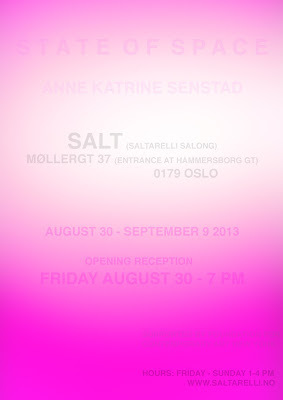 Anne Katrine Senstad has worked in a wide range of artistic expression in her practice. She has produced portrait photography, site specific installations in nature, projected films and light onto public buildings and made a series of surreal films. Throughout her career she has focused on the intersection of nature and culture, the object and the perception of object, of rationality and the subconscious. In State of Space she combines all of these areas of interest in a collection of her works . And what is the state of space in Senstad’s art? What is the purpose of “space” here in her art? I find a theoretical key for the understanding of the works of Senstad in, of all places, culture studies. One of the theories that are frequently in use in culture studies is named space/place theory. This is a theory that sees the place as one potential understanding of a space. What makes a place is how we physically use the space, how we perceive space and the practice of it, how we construct space through language and fill it with objects, history and meaning. A space might be inhabited with a selection of definitions of place at various moments in time. Simultaneously the same space might be perceived as different senses of place according to the subjective perceiver. This game of perception is used by Senstad in State of Space, a collection of works shown in the space of a white cube gallery. The space of the white cube is normally used to display objects. What Senstad is showing us are different works that have the removal of the object as a theme. In Color Kinesthesia and Color Synthesthesia IV she shows us light perceived as color. Small technically modifications in the perception can alter even an empty space into a massively colored place. In the same way she shows that a sculpture is a three-dimensional object, obviously, but that this object not only fills the space in the white cube. It also contains a space inside itself. By folding out the sculpture she questions the function of the sculpture as a solid and defining marker of a gallery space, a way of seeing sculptures that minimalism taught us in the 1960s. Her two small sculptures are replicas of a larger sculptural piece, originally made to project color and light onto, which would give the viewer an experience of colors in transit, light and reflected shapes in the art space. This focus on the formal is what makes Senstad’s art so interesting. Her aesthetics are close to minimalism, monochromes and formalism. Her works might look slick and polished. They might be seen as just another commentary on works of the modern and postmodern genres. This may be a conventional way of seeing her work. But, her work is not a tongue in cheek commentary on modernism or post-modernism classics. Senstad has an honest curiosity when she explores the physics of space and philosophy of perception. Beneath the smooth surface her art works deal with classical avant-garde questions: What is art? What is space? How do we perceive the same objects and spaces differently at separate times and with individual minds? Senstad’s works owe more to 4’33” by John Cage than to 60s minimalism, and more to Yves Klein and early experimental post-modernism, than to clean formalism. In this way Senstad’s works can be seen in two distinctively different ways at the same time. On the surface there is formalism. Beneath the surface there are some of the largest questions an artist can dare to ask and to work with. Senstad gives us two very different ways of seeing her art. In this she creates variable potentialities from a singular space. And between these multiple potential observations of her work, you will find a space – a space where your perception is the guide. Bjørn Hatterud is a curator, art critic, writer and musician based in Oslo, Norway. He regularly writes criticism in major nordic art press. His op-eds, essays and articles have been published in more than twenty different journals, magazines, newspapers and books. As a curator he has worked with artists such as Slava Mogutin, Bruce LaBruce, Zanele Muholi and Maja Ratkje. 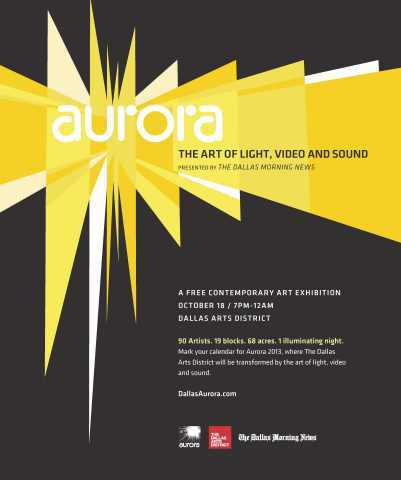 Aurora - Light of Convergence - Participation in the Dallas Video Art festival Aurora. A site specific Video festival taking place in the Dallas Arts District. Showing Colour Synesthesia IV, Silent Version, 2013. 60 min loop, HD DV.